Although Government has openl disdain for the Judiciary and shown its desire to exert control over it in what can be summed up as shadow boxing, the real war to muzzle the independence of third arm of government is being played from a distance and quietly. It is as tactful it is vicious. 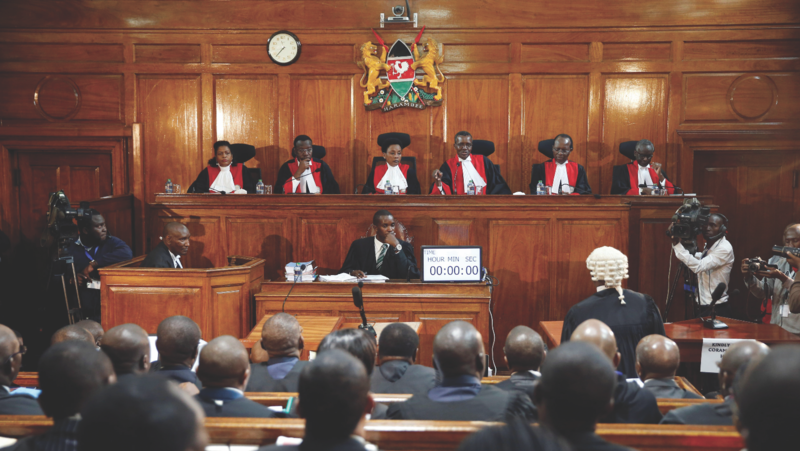 The nerve centre of the Judiciary is the JSC, not the CJ or individual judges. Government mandarins are fully aware of this and that is where they have launched dirty wars to wrestle judicial independence. It is a battle of numbers and government has been working round the clock to tilt the scales in its favour. It is the reason they are keen on ruining the election of the Court of Appeal representative, Justice Warsame, to the Commission. Justice Warsame is staunchly independent and cannot be counted on to do their bidding. The dirtiest play, however, has been played in filling of three JSC slots, two reserved for lay persons, and the representative of the PSC, who, by and large, also serves at the behest of the Executive. The three have been, unashamedly, reserved not only for the President and his Deputy’s tribesmen, but diehard Jubilee Party hawks, where merit counts for nothing. Next articleEnd time for liberal democracy?